Back in the 90’s there were two prominent developers of fighting games coming out of Japan. In one corner we had the almighty Capcom, home of Ken, Ryu, and the rest of the Street Fight gang. And in the other corner was SNK. Although there library is extensive, with titles like Metal Slug and Fatal Fury, King of Fighters is likely the most recognized title. That is if you ignore them also being the masterminds behind the Neo Geo. In recent years their focus has been on repackaging their glory days in numerous SNK Collections and keeping the King of Fighters series alive. But it seems they are ready for more. And they are coming in blades drawn. 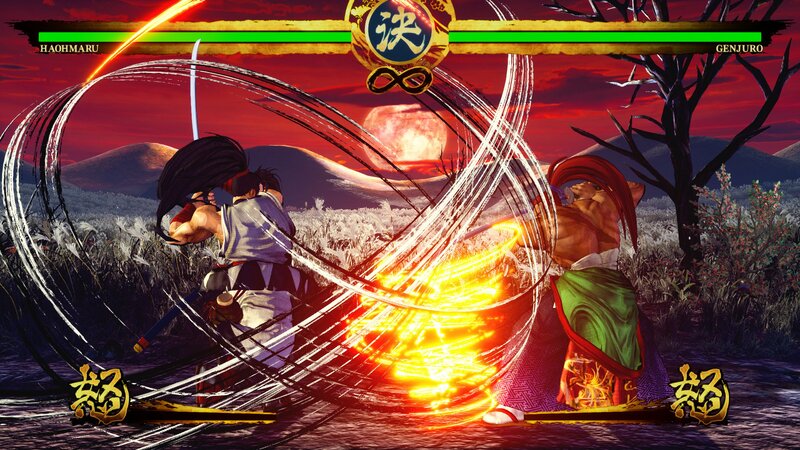 After more than a decade, Samurai Shodown is back. Samuria Shodown is a weapons based 2D fighting game. It’s like the Soul Caliber of 2D fighters. Anyway, the franchise is being rebooted for the modern era. SNK is even choosing to develop the game using Unreal Engine 4. The unexpected reboot is set to take place between the events of the original game and Samurai Shodown V.
Promising 13 of the original playable characters joined by 3 new challengers, SNK is ready to reenter the world of competitive fighting. Samurai Shodown will release sometime in June 2019 on PS4 and Xbox One. And PC and Switch versions will be coming later this year. Does this release window sound a bit scary? Fear not as skeptics are welcome to try out the new entry sooner. Anyone attending PAX East this upcoming weekend in Boston will be able to get their hands on the game. SNK will also be hosting a panel, “Samurai Shodown: Resurrecting a Legend,” on March 30 from 4:30 to 5:30 p.m. ET featuring producer Yasuyuki Oda, director Nobuyuki Kuroki, and original Samurai Shodown director Yasushi Adachi. Are you excited for a brand new Samurai Shodown? I know I am.